Tomorrow you may go to your favorite restaurant or gathering and see a table like this. The Missing Man Table, also known as the Fallen Comrade Table, is a place of honor, set up in military dining facilities of the U.S. armed forces and during occasions such as service branch birthday balls, in memory of fallen, missing, or imprisoned military service-members. Table: set for one, is small, symbolizing the frailty of one isolated prisoner. The table is usually set close to, or within sight of, the entrance to the dining room. 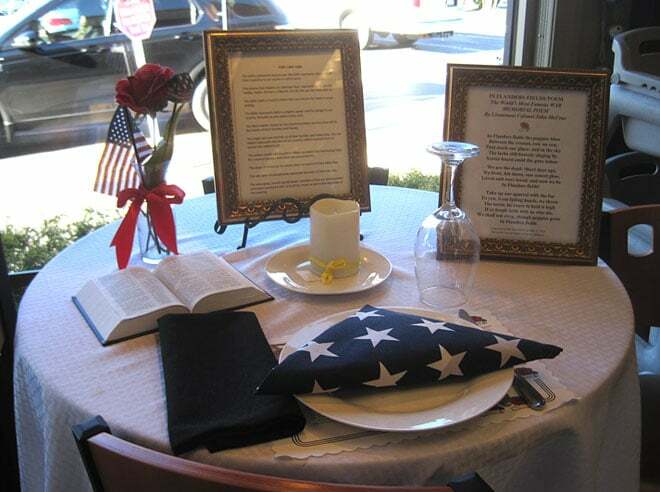 For large events of the Missing Man Table is set for six places: members of the five armed services (Army, Navy, Marine Corps, Air Force, and Coast Guard) and a sixth place setting reminiscent of the civilians who died during service alongside the armed forces or missing during armed conflict. The table is round to represent everlasting concern on the part of the survivors for their missing loved ones. The tablecloth is white, symbolic of the purity of their intentions to respond to their country’s call to arms. The single red rose in the vase, signifies the blood that many have shed in sacrifice to ensure the freedom of our beloved United States of America. This rose also reminds us of the family and friends of our missing comrades who keep the faith, while awaiting their return. The red ribbon (yellow ribbon for Air Force ceremonies) represents the love of our country, which inspired them to answer the nation’s call. Slice of lemon on the bread plate: represents the bitter fate of the missing. Salt sprinkled on the bread plate: symbolic of the countless fallen tears of families as they wait. Lit candle: reminiscent of the light of hope which lives in our hearts to illuminate their way home, away from their captors, to the open arms of a grateful nation. Empty chair: the missing and fallen aren’t present. Here is a flag for you to fly on your phone tomorrow. 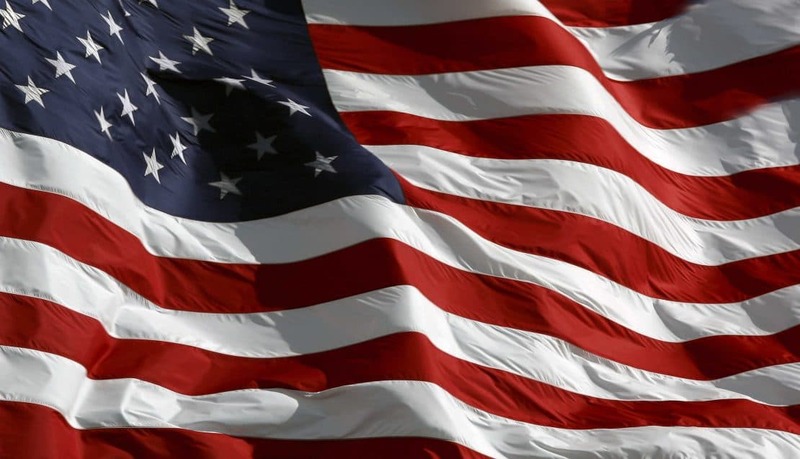 This flag will look good on any phone, monitor, tablet or laptop.